Gary Bauer, Contributing Author: White House and congressional leaders met behind closed doors today to discuss the solution to the tax/budget impasse. House Speaker John Boehner came out of the secret session and expressed frustration with the lack of progress. He is not the only seething Republican. This morning on CNBC, Senator Ron Johnson (R-WI) said it was increasingly obvious that President Obama is not seriously negotiating. Obama has not put one specific cut on the table -- all of his proposals involve tax hikes. Senator Jeff Sessions (R-AL) went to the floor of the Senate and accused Obama of intending to do nothing to fix the debt problem and of actually planning to spend any new revenue he takes out of taxpayers' hides. The bottom line is that the fiscal cliff is being manipulated by Obama into a potential suicide jump by Republicans. Obama is essentially saying, "Vote to raise taxes with no real spending cuts or my allies and I will crucify you for wrecking the economy so you can protect your millionaire and billionaire buddies." I don't have a solution, but here are some first steps. Senator Sessions suggested that the closed door negotiations be opened up. He is right! Republicans should demand it. Tell the public that when the doors shut in Washington, bad things happen to the average guy. Insist the negotiations be televised. If Obama refuses, hit him every day for his secret plans to destroy America's most productive, job-creating citizens. Second, the GOP should stop insisting that the mortgage and charitable deductions be ended for the well-off or anyone else. Ending the charitable deduction will shrink the funds raised by non-profit charities and church ministries that help the poor and homeless. As a result the demand for more government programs will rise. Ending the mortgage deduction, even for just the well-off, will have a domino effect, lowering the value of everyone's home -- the last thing the tentative housing recovery needs right now. Third, go to some of Karl Rove's major donors and urgently request funds to buy nationwide TV time. Select some of our best spokesmen -- Governor-elect Mike Pence, Senator Marco Rubio, Senator Jim DeMint -- and let them make the case for why the country is in the middle of a spending crisis, not an under-taxation crisis. Fourth, announce legislation in the House and the Senate that ties congressional and presidential salaries to progress on spending. If the deficit rises more than inflation in a given year, salaries get slashed. It is called "pay for performance." We are for it when it comes to teachers, so let's be for it when it comes to our elected federal officials! We might still lose the showdown, but can't we at least try to land a few punches? 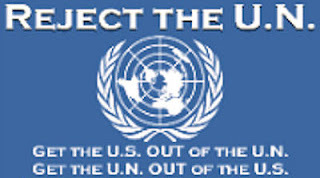 Cut to zero any foreign aid for countries that regularly vote against us at the U.N. Freeze federal hiring and federal salaries. I know that will seem unfair for good folks working in government, but salary freezes have been common in the last five years in the private sector. Propose an end to all subsidies for failed solar projects, windmills and other boondoggles. Of course, the Democrats in the Senate and Obama won't allow any of these cuts to be made. So what? We will educate the public, and the American people will know where each side stands. Just one day after a disastrous meeting with her most outspoken Senate critics, U.N. Ambassador Susan Rice met with Senator Susan Collins (R-ME), one of the most moderate, centrist members of the Senate. Whatever hopes Democrats may have had for Rice going into the meeting, they were dashed as soon as it ended. After a 90-minute meeting, Senator Collins emerged to say she was troubled by the "political role" Rice played with her false explanation of the Benghazi terrorist attacks. Collins added that she could not yet support Rice as Hillary Clinton's potential successor for Secretary of State. As Politico put it, "It's not clear what Rice said behind closed doors to anger all these senators, but it's obvious the meetings went badly and this was hardly a nominee-in-waiting charm offensive." But we do know one thing that is bothering Senator Collins. After the meeting she told reporters, "What troubles me so much is the Benghazi attack in many ways echoes the attacks on [the Kenyan and Tanzanian] embassies in 1998 when Susan Rice was head of the African region for our State Department." Collins continued, "In both cases, the ambassador begged for additional security." Senator Dianne Feinstein (D-CA), chairwoman of the Senate Intelligence Committee, has commissioned a report to determine whether the terrorist held at the military detention facility at Guantanamo Bay, Cuba, could be relocated to U.S. prisons. The Government Accountability Office study concludes it would be possible. CNN reports that the GAO identified "six Defense Department facilities within the U.S. and more than 2,000 facilities holding individuals convicted of federal crimes that could hold Gitmo detainees." The feasibility of doing so was never the issue. The main concern was always the logic of doing so -- the additional security risks posed to the communities housing these jihadists, and whether foreign terrorist thugs would be afforded the rights of U.S. citizens and tried in our civilian courts. While liberal politicians are often unfazed by logic, the American people get it. A February ABC News/Washington Post poll found that 70% of Americans favor keeping Guantanamo Bay open. Tags: Gary Bauer, Campaign for Working Families, fiscal cliff, Susan Rice, Gitmo To share or post to your site, click on "Post Link". Please mention / link to the ARRA News Service. Thanks!